Sandwiches are perfect for breakfast, lunch, snack and dinner. 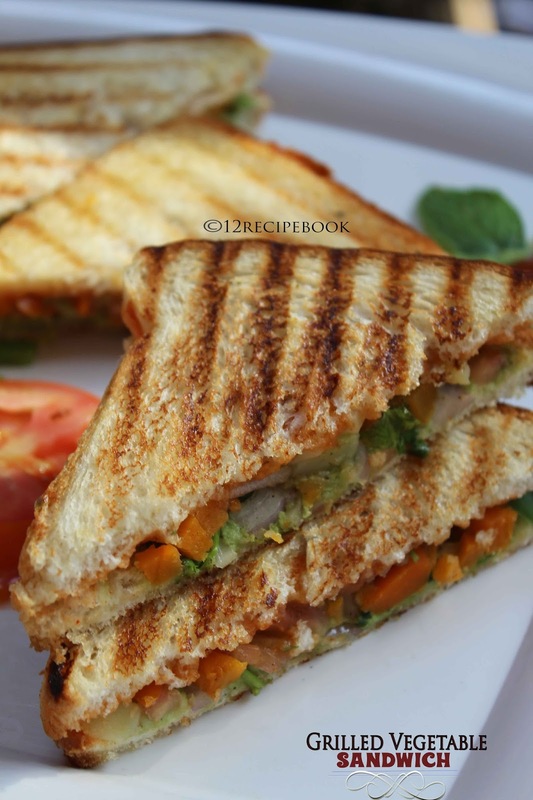 Grilled Vegetable sandwich is an easy and healthy choice among them. Add any veggie of your choice; cook it up; fill inside the bread slices and grill it!!! Always try to eat them hot or warm as soon as grilled; then it will be crispy crust and tastes more yum. Boil the chopped veggies with little water, salt and pepper powder until cooked and dried all the water content in it. Mix it with chopped onion, tomato, chat masala and coriander leaves chopped. Apply butter evenly on one side of the bread slices. 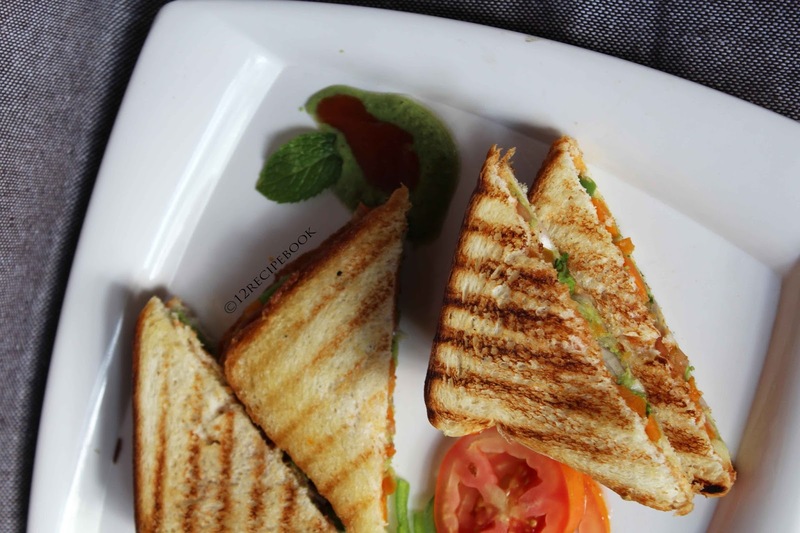 Take a slice of bread Apply a tablespoon of mint chutney (opposite to the butter applied side) on top; above that place the vegetable mix evenly as a thick layer. Cover it with anther layer of bread slice by applying tomato ketchup. Place it on a sandwich grill or grill pan and toast until done (golden brown and crisp). Serve soon in side with mint chutney and tomato ketchup.